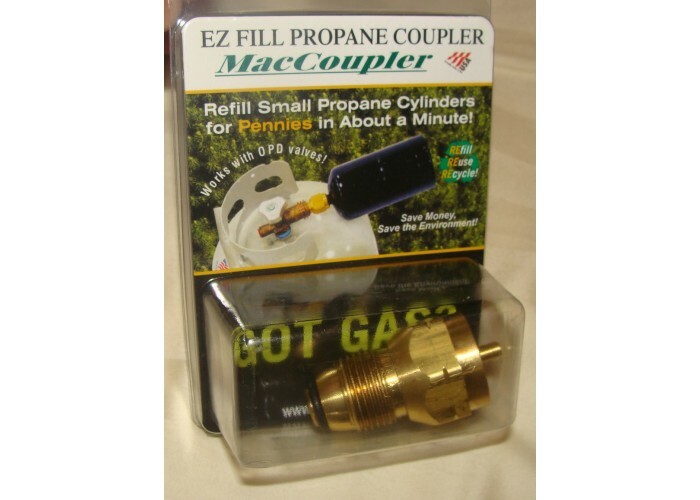 MAC Coupler – EZ fill propane coupler – The Reel Dr – Your Western Canada Warranty Center and Parts Supplier! Refill small 1 lb. propane cylinders for pennies in about a minute!! This is a great product. Quick, easy, convenient, economical and environmentally friendly.